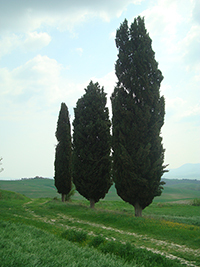 Itinerary in the great scenery of the Val d’Orcia. There is no difficulty in following the track, but a magical moment is a deviation towards the Cappella di Vitaleta, a small chapel gracing many postcards. A visit to Pienza, rebuilt as an ideal town in the 15th century, and Bagno Vignoni is a must. Start your journey with a good coffee at Buongusto on Piazza San Carlo, or have lunch at La Chiocciola (Via Mario Mencattelli, 2) near the parking lot in Via Mario Mencatelli. 27 km, it takes about 5,5 hours. The hike from Pienza to Bagno Vignoni is absolutely stunning. 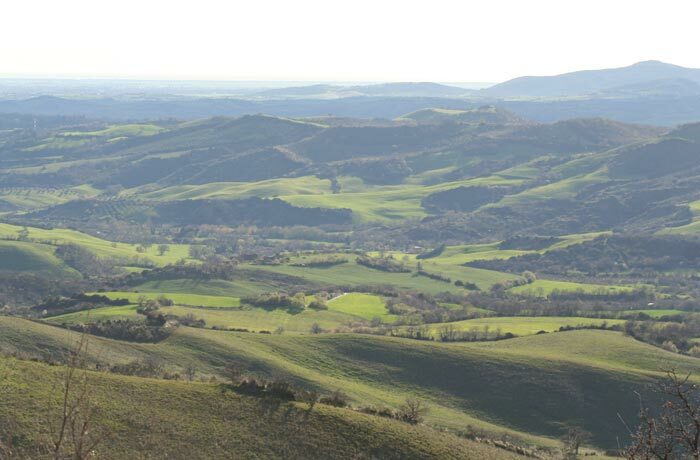 Descend from Pienza into the scenic Orcia river valley, walking through postcard landscapes of rolling hills. You will first get to the Capella di Vitaleta, a small chapel surrounded by cypress trees, and Bagno Vignoni, a thermal resort renown since the Middle Ages because of its position on the old via Francigena. Bagno Vignoni is 13 kilometers south of Pienza. The Via Case Nuove takes you to the central street of Pienza, the Corso il Rossellino. The Corso leads to the trapezoidal main square Piazza Pio II, a grand and elegant square, surrounded by the city hall, with its bell tower, the Palazzo Piccolomini, Palazzo Borgia and the Duomo. 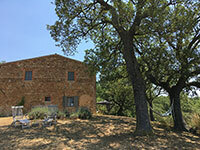 Continuing to the Vitaleta Chapel and further on to Bagno Vignoni this itinerary offers some wonderful views over the valleys. The scenery of the Val d’Orcia changes according to the season, ranging from the bright green meadows of spring to the golden wheat fields of summer, but the region's delectable essence will always linger with you long after you've departed. There is a shorter similar circular itinerary Pienza, along the Gladiator road to the Vitaleta Chapel (11,25 km). Good value restaurant just outside the old town of Pienza, in the steet next to the Conzorzio di Siena. #travelingintuscany Cipressi e neve sulla Val d’Orcia imbiancata. Grazie @alexmarchi86 per la bellissima foto. Photo by Fabio Picciafuochi, licensed under the Creative Commons Attribution-Share Alike 3.0 Unportedlicense.